Here is our local history photo of the week. The record for this photo notes that the subject is “W. 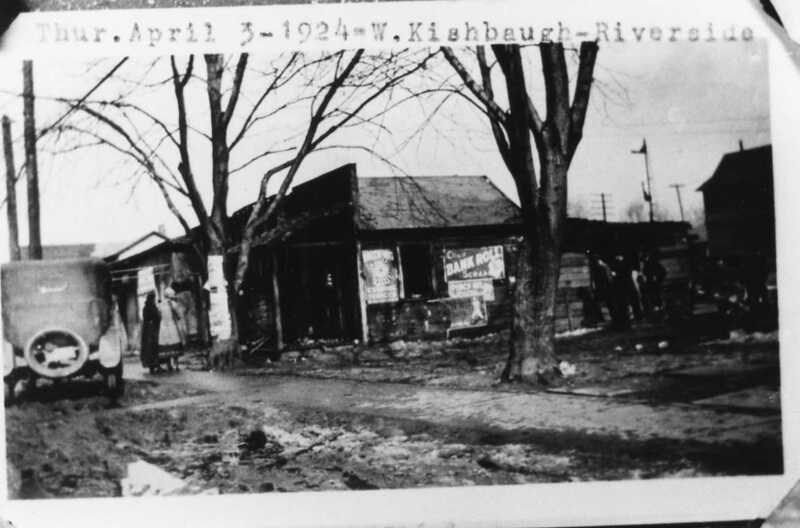 Kisbaugh,” that the location is “Riverside” and the photo was taken on April 3, 1924. And the fourth poster features a baseball player but I cannot make out any of the text on the sign. What a cool snap shot of Riverside in 1924!